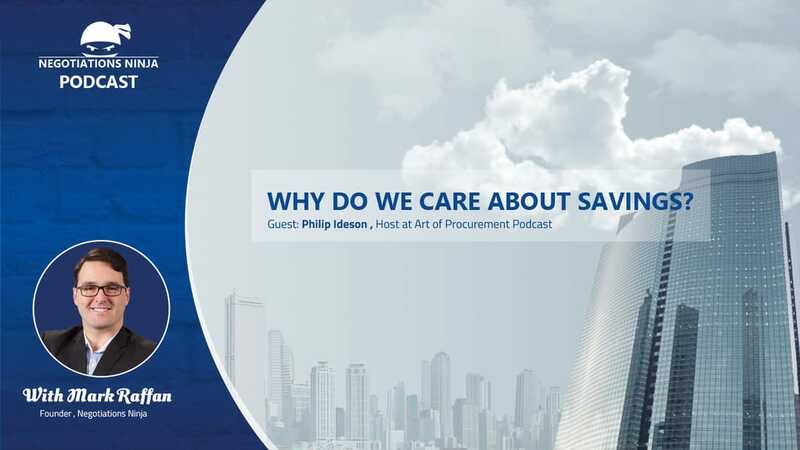 Phil Ideson, host of the Art of Procurement Podcast, has become a unique and powerful source of information for procurement professionals. He’s also very quickly become one of my favorite people. Phil and I share a ton in common. We’ve both spent a career in procurement, we both run podcasts, we both have other businesses we are trying to build and we both speak funny. ​Today we talk about savings. And naturally when two procurement guys get into a conversation about savings, debate ensues! Is cost avoidance real savings? Is cost reduction just a price argument? Phil and I get on our soap boxes about savings and have a great time in the process. For sales people, this is good insight for you to understand what procurement people are measured on.